Time is not my friend lately. But when you've got a box with 4 cards its hard to use the lack of time as an excuse. So for the first time in a while, not only have I been able to record a box break, but it's already uploaded and it is certainly a good one. 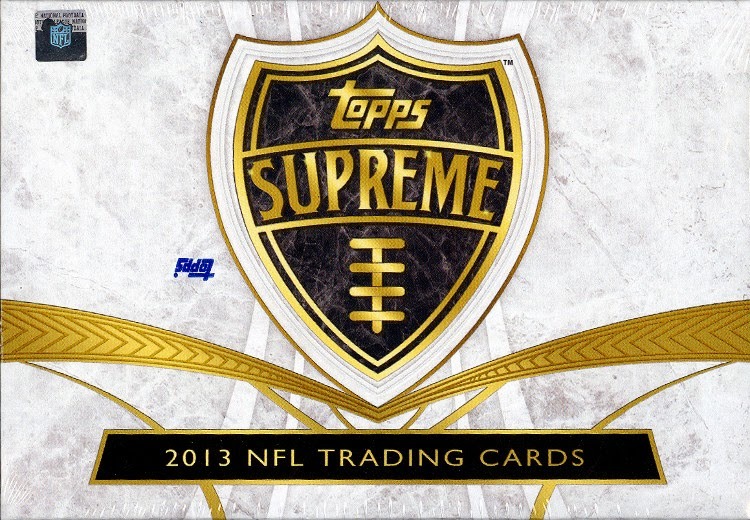 2013 Topps Supreme Football contains 4 cards with 1 base, 2 parallels and 1 low numbered hit and without a doubt, we pulled one of the good ones.